As if you need a reason to leave the wonderful city of La Rochelle, driving across the long toll bridge to the low-lying island of Île de Ré is a journey into another level of relaxation of slow-moving serenity. 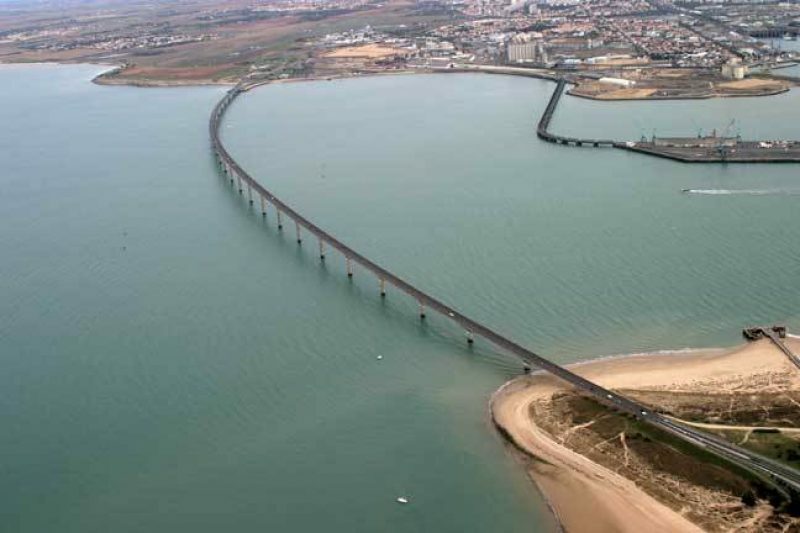 It is an island and the fact that it’s joined at the hip to mainland France by way of a bridge that was built in the 1980s is no impediment to its island charm. Traditional activities revolve around the cultivating of mussels and of sea-salt. Evidence of both are clearly visible as you negotiate the smooth roads towards one of the two main settlements – St-Martin-en-Ré and the unfortunately named Ars-en-Ré. The island is 35km long and about 5km wide so despite the large influx of tourist that now come here during the summer months, it is big enough to absorb the crowds and leave plenty of quiet spots for exploring, sun-bathing or swimming. The beaches on virtually all sides that face the West are splendid. La Rochelle was the main Atlantic base for the occupying Nazi navy during the Second World War and you can still see signs of their presence along the beach at Conche de Baleines at the northern end of the island. The huge bunkers still in existence proved extremely difficult and costly to destroy and they now stand as monuments to period of occupation. St Martin itself is a harbour town with instant appeal. It has that mixture of chic and hearty nautical ambiance that makes the island such a satisfying place to visit. It was from here, incidentally, that France’s most notorious inmates were shipped off to the colonies in South America, including jailbird/novelist Henri Charriere, aka Papillon. Today, the only ones coming and going at the height of summer around here are well-dressed and satisfied looking tourists, strolling down Rue de Sully, admiring the shops selling their seaside fashions, crafts and refreshments, or ambling along the quay front to admire the yachts that now outnumber traditional fishing vessels in the harbour. If you care to look into any of the property shops in town, you’ll see that house prices are reminiscent of the likes of Kinsale at the height of the Great Irish Property Bubble. Planning permissions are strictly limited on the island so as to keep it just the way it is as much as realistically possible. Furthermore, the glitterati have discovered it and its fans consist of a long and varied list of celebrities that include former French PM Lionel Jospin (who was able to afford to buy a house here) and Johnny Depp and his wife Vanessa Paradis. As one man I spoke to in La Rochelle said with some element of pride: “It has become the new Cote d’Azur”. 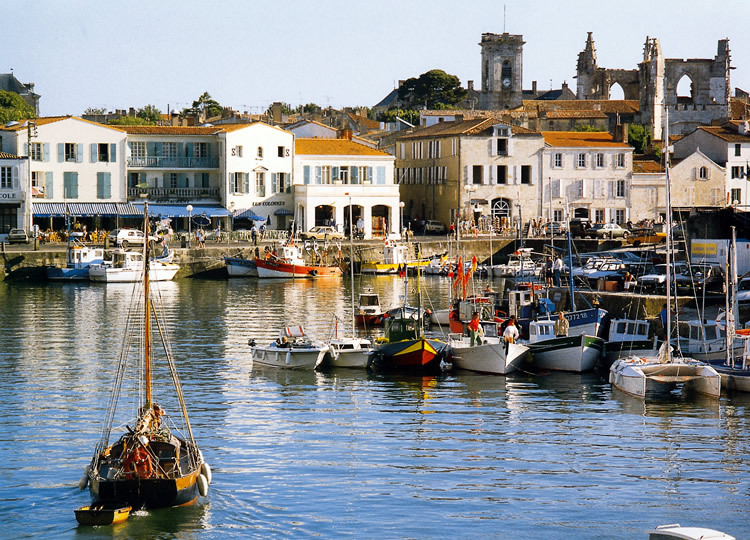 Where is it: Île de Ré is roughly midway down the French Atlantic coast – just offshore from La Rochelle. Getting There: Aer Lingus (www.aerlingus.com) operates a direct service during the summer months from Cork and Dublin. Brittany Ferries take you from Cork and drop you off at Roscoff, from where it’s a pleasant, dual-laned five-hour drive. When to Go: It’s a summer-time place. Winters are mild, but the flat island gets a good share of strong winds in the winter. The micro-climate of La Rochelle and Île de Ré mean that it gets as much sunshine as the South of France. Staying There: Be aware that staying on Île de Ré can be expensive, particularly in high season. For an upmarket option (good quality 3-star), try Hotel Plaisir (www.hotel-plaisir.com) on the south side a few kilometres from St Martin. It’s small and friendly and, best of all, it has a swimming pool that doesn’t too overcrowded even at the height of the fun season.